Where some social networks show you what’s trending in a little trending topics box, LinkedIn provides an interactive, visual tool that allows you to look at and understand what’s being shared on LinkedIn by audience segments such as C-suite executives or small business owners. Unlike Twitter and Facebook which each show you a short list of trending topics directly on your social media dashboard, LinkedIn’s Trending Content tool is available to LinkedIn Marketing Solutions Customers. A sample is located at http://linkedin-trendin.elasticbeanstalk.com/. 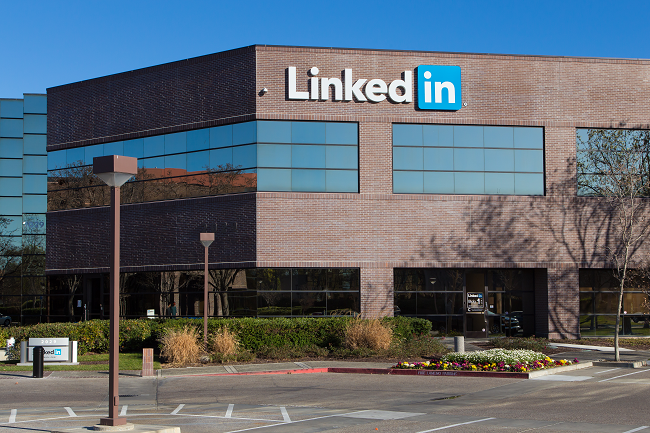 What is LinkedIn’s Trending Content? This interactive tool contains a series of tabs across the top: Auto, CXO, Fin Adv, Fin Serv, Health & Pharma, High-Tech, ITDM, Marketing, Affluent, and SBO. Though the abbreviations may be awkward, each tab displays the latest trending topics in these categories. Click a tab that interests you and you’ll see an attractive display with a photo from the top trending article in that category, a list of the top 15 shared articles over a 30-day period, a breakdown of the top three topics, and an interactive chart displaying daily audience shares by topic. How Can You Use LinkedIn’s Trending Content? Note that the sample tool is just that, a sample. As such, it does not necessarily display real-time data. Currently, the data displayed is about a month old. However, according to LinkedIn’s Dynamic Duo eBook, the data that Trending Content customers will see will be trending content across groups, news posts, influencer posts, discussions, and company pages. By visiting the Trending Content tool, you can gain some insight into what type of content resonates with a given audience segment. For example, between March 16th and April 12th , the top three topics that resonated with small business owners were entrepreneurship, venture capital, and online advertising. These topics are not likely to fall out of favor any time soon. Thus, if you need to write a blog post to an audience of small business owners, writing about entrepreneurship, venture capital, or online advertising would be safe bets. If you want to take it further, look through each of the top 15 most shared articles. What do they have in common? Catchy headlines? Newsworthy subjects? Are the articles of a similar length or format? Take notice of what works and then replicate that in your next blog post. For example, if a healthy percentage of the most shared content consists of top 10 lists related to entrepreneurship, write your own top 10 list on an entrepreneurial topic. Finally, after using LinkedIn’s Trending Content tool to get ideas and then writing a blog post, you’ll want to share your blog post on LinkedIn. Naturally, share it on your LinkedIn profile, but don’t stop there – especially if you have a small network. Include a call to action prompting others to please share the link. You may be surprised how many will share it if asked. Share the link in any LinkedIn groups you belong to as well. This will expose your content to a wider audience beyond your own personal network. Again, encourage sharing. LinkedIn’s Trending Content tool is an interesting tool that can serve as inspiration for your next blog post, article, whitepaper, or other form of content. How will you use it?